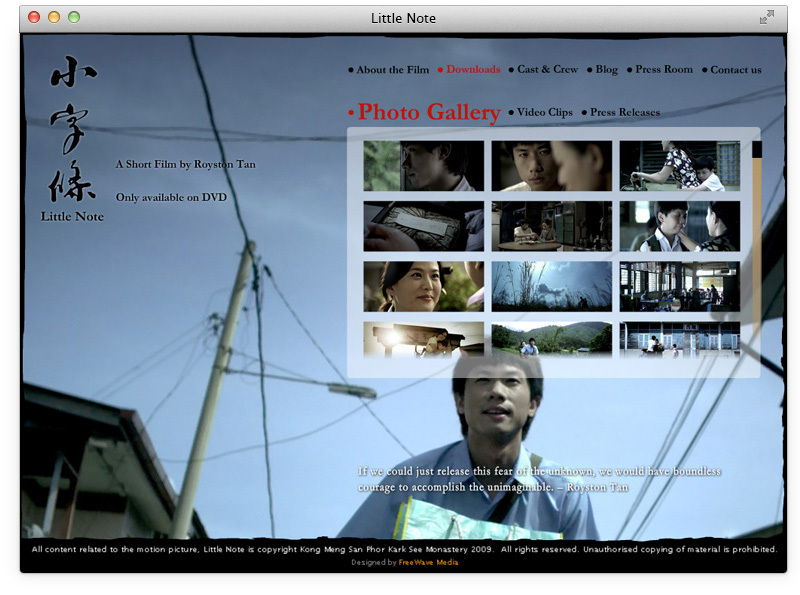 Little Note is a 15 minutes short film commissioned by Kong Meng San Phor Kark See Monastery. 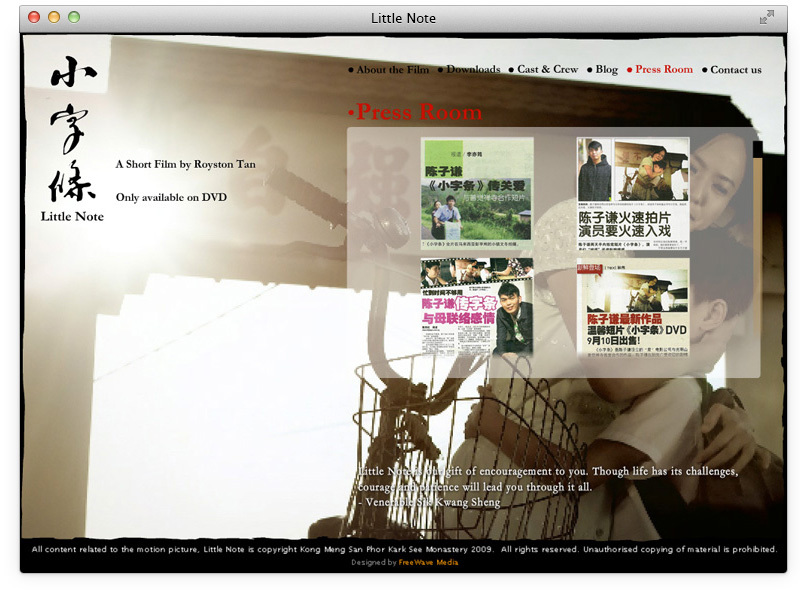 It is written and directed by the director of box office hits, 881 and 12 Lotus, Royston Tan. 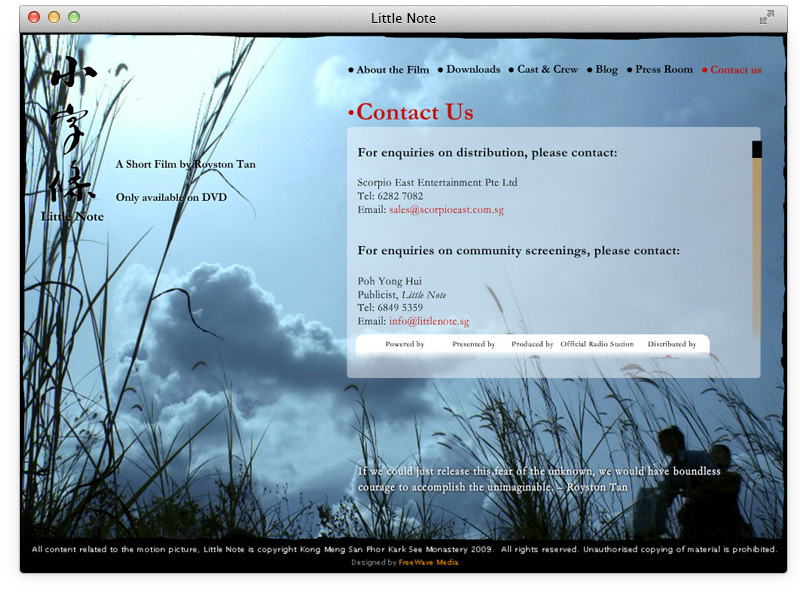 This heartwarming short film is about a mother who writes little notes of encouragement to her son during his childhood days and how these little notes continue to inspire him to embark on greater pursuits in his life, thus illustrating the unwavering love and support his mother has for him.